Authentic Soba Noodles in an Edo-era Thatched Roof Building. 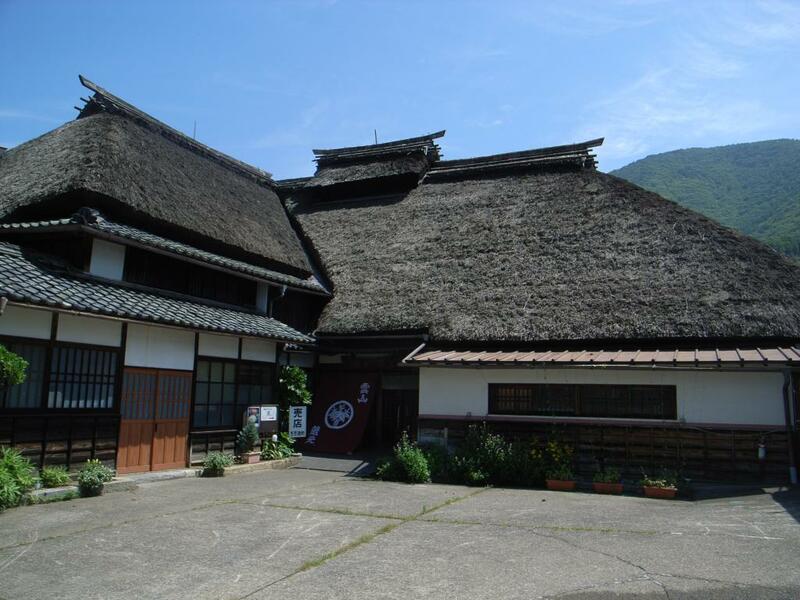 Located in what was originally the main building of a sake brewery, the thatched-roof structure was built 250 years ago. 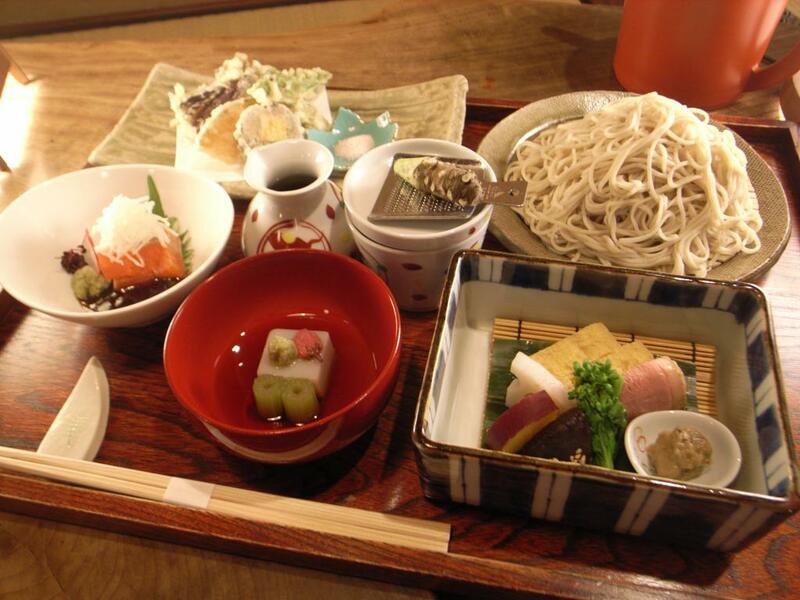 Authentic hand-made soba noodles served in this very historical setting. Great selection of local sakes, too. Gift shop and cafe as well as crafts (stained glass, pottery-making) and brewery-tours also available. Cafe is wheelchair accessible. Let the staff know and they will gladly assist. Monday - Saturday 11:00-20:00 (L.O. 19:30); Sunday and Holidays 11:00-19:00. Closed irregularly (usually 1 day per month) and Jan. 1st. Not suggested for people who are allergic to buckwheat (soba) -- consult with the staff in advance. From Sakaki IC, Via Route 18. On the Togura Sta. intersection corner. Approx. 10 min.